I had a really good internal medicine doctor. The last time I visited him was 2 years ago. He was very effective but the list of medicines I had to take probably made Mercury Drug rich. I was also feeling very worried about my liver. I hadn’t experienced digestive problems (ulcer, among many things) after I resigned from my post as a video game producer and graduated from PhD, two of the things that had been causing me so much stress. After my healing, I started eating right and I have been known to regularly walk all over Makati. My activities in the last month had been causing me stress again, and most of it is related to me building an office. I couldn’t figure out why I had already been eating healthy and yet I’ve been having acid problems. This time around, I decided to try the “natural” way. Acupuncture, basically mine involved having super thin needles work on my body’s acupoints. 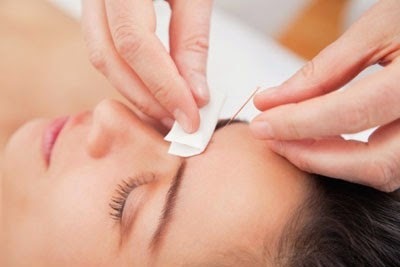 I did a bit of research on Eastern medicine that the World Health Organization has already approved and found that acupuncture has a scientific explanation. I mean, I’m not too keen on believing “juju” stuff that has no scientific basis, not when it comes to my health. 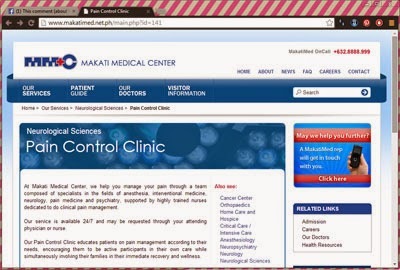 I also checked out Makati Medical Center’s offerings, since the hospital is walking distance from where I live. I managed to grab myself a brochure of their Pain Control Clinic. Above is a screenshot of their website for reference. Anyway, I scheduled an appointment with Dr. Domingo, who is an MD that specializes in Eastern Medicine. Sorry for the lack of photos. I couldn’t really take photos of myself while I was undergoing the treatment. Anyway, the second photo above was one of the areas that I got punctured in. Haha! To be honest, I am actually afraid of needles but I told the doctor that I would like to try something new because I really felt violated by Western medicine two years ago. Let’s just say I had things sticking into parts of my body that were just…argh. Endoscopy is the least of them. I was interviewed a bit and the sessions were actually quite funny. Doctor: Do you have problems with anger management? Boyfie: Only when she’s on the internet. In real life, she’s cheerful and nice. Me: I have problems with anger management when I’m hungry, too. Boyfie: I still think I should ban you from using the internet. Doctor: Do you know the Chinese concept of the “chi”? Me thinking: Oh, it’s what the Avatar uses to bend the elements. Doctor: You walk all over Makati but your tongue tells me you lack exercise. You don’t seem to be enjoying your walks. Boyfie: There were many times she’d almost gotten run over because she thinks while walking. Anyway, he did tell me that I treat Makati like a New Yorker treats NY: walking everywhere. At least I eat healthy and have a bit of activity, so I should just let my body heal itself. Possible infection, though he assured me that he uses the best needles. I could barely see the pricks on my skin so I don’t think I suffered from any infection. It wasn’t really painful, though the first prick hurt a bit. The doctor said it was the alcohol that must have gotten into the needle prick. The next ones just stung before they started feeling a bit…well, pleasant. Like a hum going through the parts that were pricked. The first needles went into my head, my forehead, my stomach, and then my feet. Same parts that were shown on the photos here. I have no verdict yet because I will have to go through a few sessions before I can say anything concrete. The only thing I can say is that it’s cheaper, for only P1,500/session. My internal medicine doctor usually charges P1,000/session and then the prescription medicines would go up from P5,000-P14,000. 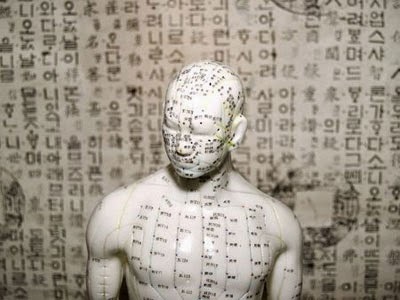 My boyfriend did say that her mom’s lupus conditions (pain, temperament problems) were eased by acupuncture. I am not advocating any source of treatment yet. I just need to know if this will work for me better than Western medicine did. If it reduces my anger issues (I really should cut down on internet time) on top of my digestion issues, that will be so much better. The one I went to in Ortigas charged P1500 din for the initial consultation, but 1k na lang daw siya sa next sessions. But I didn't need other sessions cos nawala na yung neck pain ko after that. I just purchased this game over the July 4th weekend and I'm hooked. I don't know what I was expecting but the presentation and level of quality is through the roof! I think these devs are onto something big here, and I'm super stoked for Episode 2! Glad you liked it. Only games I like make it to this blog. Life is too short to be spent on games I don't like…well, unless the developer is my friend and I want to give honest feedback (including the criticisms).